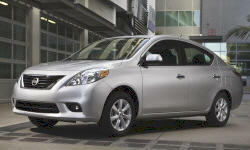 2012 Nissan Versa Pros and Cons | Page 1 of 1 | Why Not This Car? What drives people to buy (or not buy) a certain car? 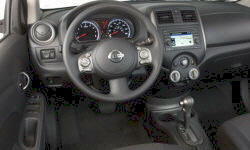 TrueDelta's members share 2012 Nissan Versa pros and cons based on their real-world driving experiences. The Versa is an excellent choice if you are looking for a small fuel efficient vehicle that can actually fit four adults comfortably. However, interior features are cheaper than other subcompacts.